CONNECT WITH THE JAZZ ROOM! Sittin’ In Meet-the-Artist sessions are one hour prior to each concert in Shea Recital Hall. Inaugurated in the spring of 1978, the Jazz Room Series is the longest-running campus-based jazz concert series in the nation. With a tradition of encompassing the complete spectrum of jazz from New Orleans to the avant-garde, it features world-class professionals and William Paterson student ensembles. There are three series of concerts each year, including the six-concert Fall and Spring Jazz Room Series, and the weeklong Summer Jazz Room held the third week of July. The Jazz Room has received over two decades of continuous grant support from the New Jersey State Council on the Arts/Department of State, as well as numerous grants from the National Endowment for the Arts, and the Geraldine R. Dodge Foundation. The series has been featured on national and metropolitan-area media, including recorded broadcasts and live CD recording sessions. 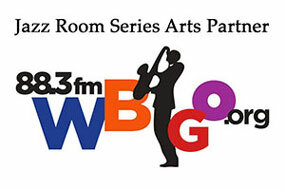 The Jazz Room Series is directly connected to the William Paterson Jazz Studies Program. Unique among college and university programs, the Jazz Studies program is one of the few in the nation with an emphasis on small-group playing, improvisation, and a genuine commitment to the jazz tradition. Founded by music faculty member Martin Krivin and joined by trumpeter/arranger Thad Jones in 1973, the program was led by bassist Rufus Reid for twenty years, then by the great jazz pianists James Williams, Mulgrew Miller, and most recently Bill Charlap, who accepted the position in fall 2015. The program is co-led and coordinated by David Demsey. The artist/teacher faculty is made up of world-class New York area professionals. The program is a true jazz environment in which students learn firsthand about the jazz world and the requirements for becoming a successful professional musician. Jazz majors come to William Paterson this year from twenty-six states and six foreign countries, including a number of Fulbright Scholars. The University also presents the Summer Jazz Workshop for high school students. The University's Summer Jazz Workshop, active since 1994, is a week-long intensive program in late July, featuring classes, small-group rehearsals and performances, and clinics taught by William Paterson resident faculty and special guest clinicians. William Paterson University is home to the Living Jazz Archive, which includes the personal music archive of legendary trumpeter and educator Clark Terry, as well as the archives of Thad Jones, James Williams and Michael Brecker. The Living Jazz Archive provides students, researchers, and visitors with the opportunity to explore original jazz manuscripts and other materials that are an important part of jazz history.